When our guide came by our tent shortly after 3 AM to wake us up to begin the climb up Mt Kilimanjaro I’d already been awake for some time. 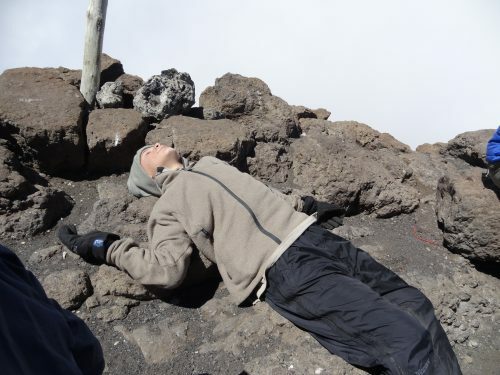 The sleeping bags we’d rented for our week hiking to the rooftop of Africa weren’t quite up to the sub-zero temperatures so despite the 4 layers of clothing, I was still cold. At least we’d warm up hiking. Or so I thought. Within half an hour most of us felt like our fingers were going to fall off from frost-bite and one of the kids (who shall remain nameless) was crying. Within another half hour one of my other children had thrown up the porridge he’d eaten before setting out. Already the thin air was taking its toll. To say that it wasn’t the best of starts was an understatement. By 6 AM the sun was making its way above the horizon, warming our fingers with it. Alleluia. But by now I was starting to feel pretty nauseous myself and felt a headache settling in. Most of us did. We stopped for breaks every 10 minutes or so but as we climbed higher, ten minutes began to feel like an awful long time. 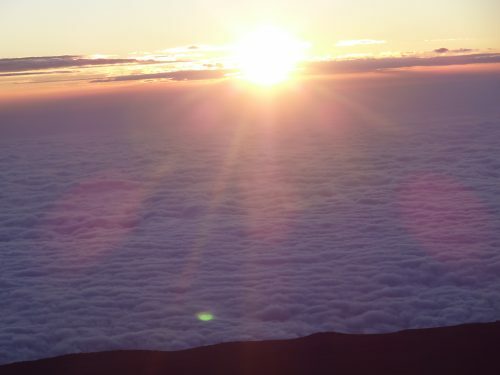 The sun rises as we hike up Kilimanjaro. But keep going she did. We all did. One foot in front of the other, taking regular breaks, our guides reminding us to stay hydrated. Then, about 9 hours after starting out we arrived at the top. I would have cried but truth be told, I was too exhausted. We sat and lay on the rocks then mustered up enough energy to take the obligatory photos before heading back down. Whether its climbing a mountain, raising kids, finishing studies, building a business or leading a team or pursuing any goal worth achieving – sometimes you just have to roll your sleeves up, dig deep and do the hard yards even when you don’t feel like it. Unfortunately there’s a lot of people who’ve bought into the false belief that there’s an easier way. Ever since The Secret swept the world about a decade ago people have been conned into believing that if you think really positively about things, you’ll manifest what you want with little effort on your part. That’s not to deny the power of the mind in attracting the opportunities, relationships, health and wealth you want. Rather it’s about doing your part to bring what you want into reality. Make the phone call. Do your homework. Expand your skill set. Extend the invitation. Join the group. Put yourself out there. Go that extra mile. Risk the rejection. Attend that event. Take that next step. Set your alarm earlier. Keep trying! Because if you only ever do what you feel like doing, you’ll never do all you’re capable of achieving. But don’t just take my word for it. Research by ‘grit’ expert Angela Duckworth has found that grit is a key predictor of success. Encouraging our kids to press on when the going is tough helps them build the grit they need to weather the storms of adulthood. Likewise, no matter how old you are, or how much you may have given up in the past, you’re never too old to grow your grit. You do it every time you choose to keep pushing forward toward whatever it is you want when you’d rather not and especially when you can find plenty of excuses to throw in the towel. Like, you’re too old, too busy, too inexperienced, too unsure, too scared. Building grit is hard work. If it were easy, there’d be more people living bigger lives and fewer sitting on the benches waiting for their lucky break to arrive (and complaining about why it hasn’t!) Not only that, but hard work is good for the spirit. It forges character and reveals strengths that would otherwise lay dormant. 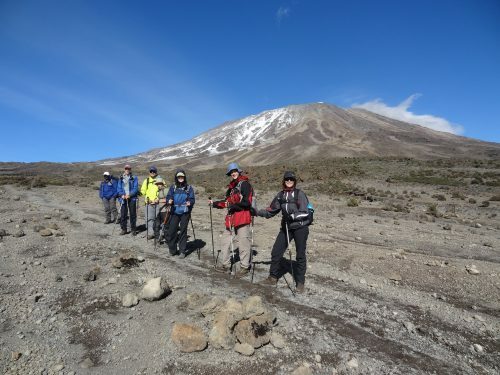 Of course, I do not yet know how making it to the top of Kilimanjaro will shape my four teenage children. However I am certain that in the years to come when the going is tough, they will look back on that last Friday of June, 2016 and realize that they can do more than they think and when they feel they can’t go on any further, that they must merely put one more foot in front of the next. Then repeat. 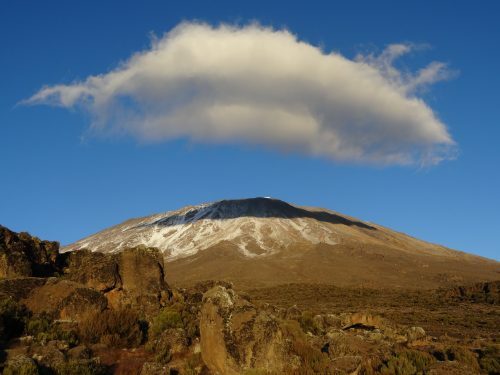 Having underestimated the challenge of climbing Kilimanjaro, I now understand why about 20% of people who set up to reach her top turn back before they do. We made it to the top because we were a team that kept pulling each other up and because each of us refused to give up. What would you love to accomplish in the six months that remain? Set a bold goal that stretches you as much as it inspires you. Enlist someone(s) to hold you accountable. Then TAKE ACTION. Daily. Even when you don’t feel like it! I promise you, six months from now, you’ll be so glad you did. When I finally arrived back at base-camp 12 hours after setting out, I sat down on a rock and cried (embarrassing my kids as mother’s do!) It was part relief, part exhaustion and part a deep sense of accomplishment for pressing the many times I’d felt like giving up. I knew it would be a day my family would remember forever. Theodore Roosevelt once said that life’s greatest prize is “Working hard at work worth doing.” There are many worthwhile things you can do in your life. All will require hard work and pressing on when you feel like giving up. None will be done if you don’t do them. Leave me a comment to let me know what you’ve learned about grit in your own life and what you plan to use it for next! 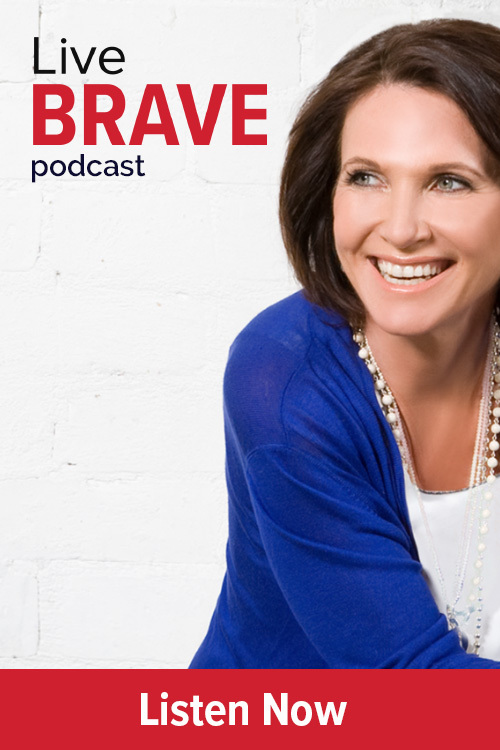 As I wrote in Brave, you can do more than you think! 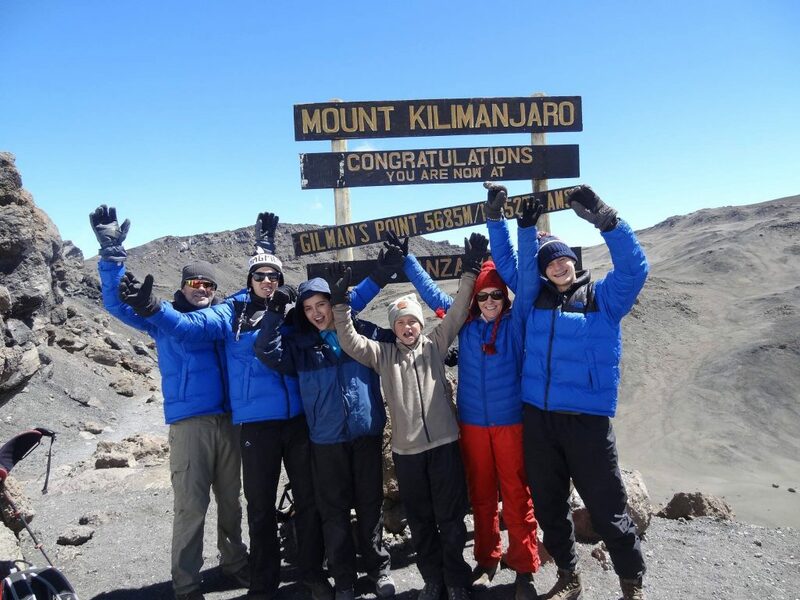 As I learned on Kilimanjaro, by testing our limits, we extend them. PS: If you’d like to look at some photos of our trip, please pop over to my Facebook page. PPS: Thanks to all who donated to our Lift as We Climb fundraiser for The Hunger Project. We raised $5,000 to help lift women in Africa and their communities out of poverty. If you’d like to add to that tally we’d be very grateful. Click here.